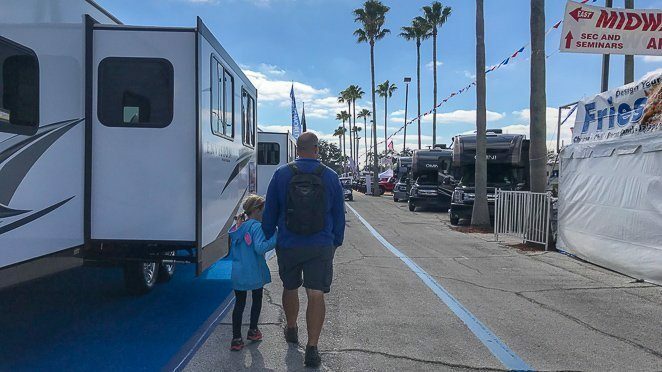 This week is the 2019 Florida RV Supershow in Tampa, Florida. The Florida RV Show is recognized as the greatest RV show in the country, and some say the largest. If you are in Florida and want a chance to see over 1,500 RVs, then you should make a trip over to Tampa! Our RV family was invited to visit the Supershow during Industry day, before the RV show opened up to the public. I'm excited to share with you our first experience and some tips we learned to make your visit go smoothly. 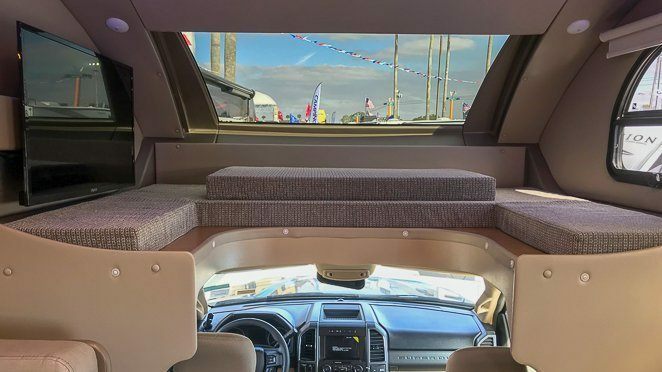 Where is the 2019 Florida RV Supershow? The RV Supershow is at the Florida State Fairgrounds. 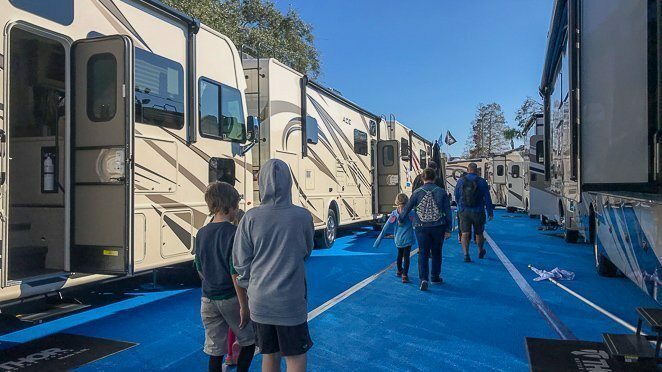 What Days Can I Visit The Tampa RV Show? Public Days are Wednesday - Sunday, January 16-20th, 2019. Wednesday through Saturday the hours are 9:00am - 6:00pm while Sunday is 9:00am - 5:00pm. 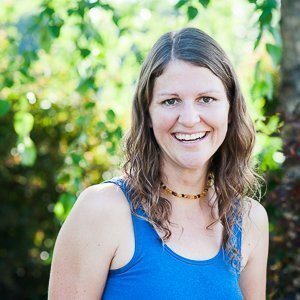 What Does the RV Show Cost? If you have a family, you'll be happy to know that children 16 and under are FREE!! Adults are $10 per ticket, and that ticket will get you in the first day you visit and the following day. So it works as a 2 day ticket. Discounts: Wednesday is Senior Citizen's Day with $1 off tickets. Military and First Responders receive $1 off admission any day. Parking costs $8 per car and $14 per RV at the Fairgrounds. Be sure to bring cash to pay for your parking. You could spend ALL day here! I recommend arriving early and having a plan to walk to the RV sections you want to make sure and see. I'm a planner by nature, so my tip to plan out your day comes from wanting to help you get the most out of your day. You can totally wing it, but it's going to be really busy and I don't want you to miss anything. If you are a digital kind of person, then you can download the RV Supershow's app to either your IOS device or Android. Click here to learn more. If you don't want to use your cellphone as a map, then print out a map ahead of time to help you plan. Meeting up at the RV show can be a fun experience. We were camping in Orlando and decided to drive 1 hour to meet up with our friends Dustin and Jill, with Fulltime Families, to walk around together. 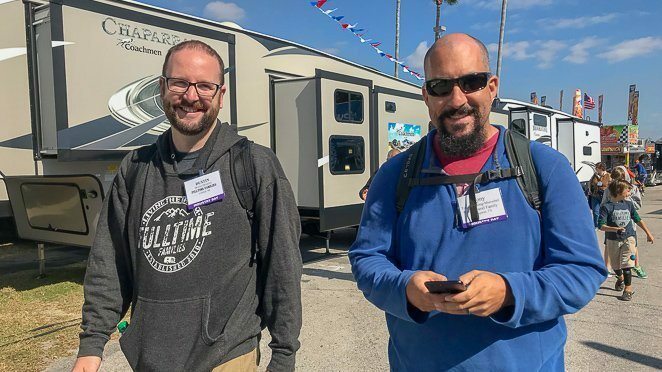 Not only did it provide friends for our kids to hang with, but Tony and I were able to connect and dream about new RVs with other RV friends. The Exhibit Halls have so many RV vendors and suppliers including campgrounds, RV repair, RV rental companies, RV kitchen accessories and so much more. The RV Supershow offers Seminars, included in your cost of admission, throughout the day. Check out the list of seminars on your app. If you have kids, be sure to check out the Kid's Zone. They plan to have bounces houses, face painting, rock climbing and more. 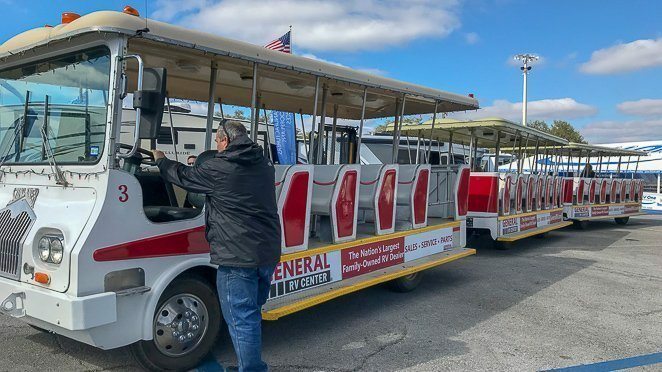 Relax your feet for a bit and take the Tram around the 26 acres worth of RVs. Be prepared to walk into all different types of RVs. From Super C's to toy haulers, you will see so many kinds of RVs with so many layouts. 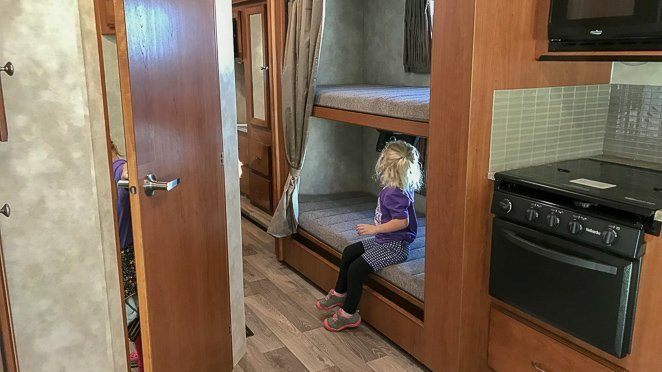 Since we are a full-time RV living and traveling family of 6, we are always on the lookout for great layouts for families. Bunk models in particular. 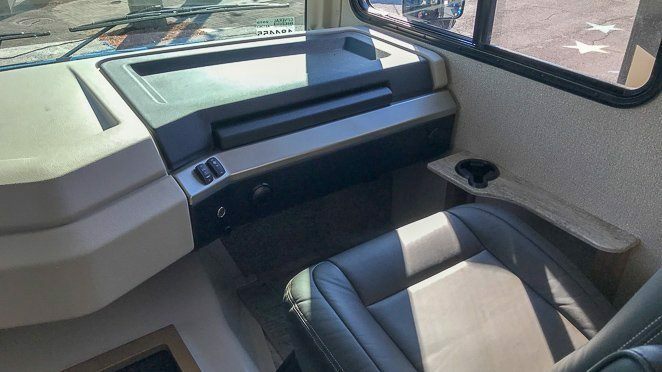 Since we already own a Class C motorhome, Tony and I especially liked this Omni Super C with the window over the cab bunk. How cool is that! 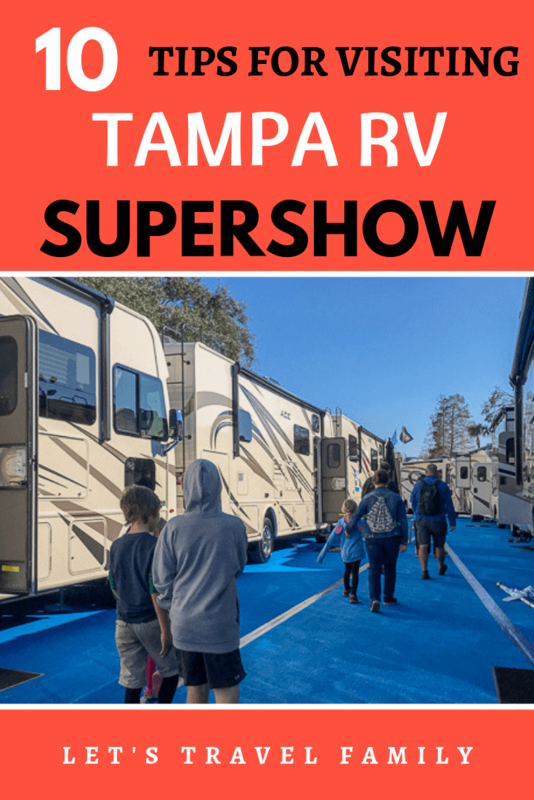 Should You Visit The Tamp Florida RV Supershow? Absolutely! Bring the family and make a day of it. Just be prepared to walk a lot, dress in layers, and try to take breaks to just enjoy. Especially if you are bringing kids along. Feel free to reach out to us if you have any questions, as I'm always happy to help. You can find us here on Instagram or here on Facebook. Otherwise, contact us directly.